The American restaurant brand gets more discerning as it continues growth strategies in local market. Rodriguez said they are set to open a new location in Eastwood City in two months and another one in SM City North EDSA in about four to five months. Those would be added to the six IHOP stores currently operating across Metro Manila. 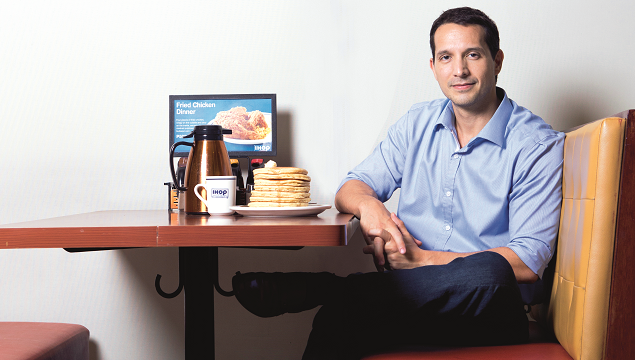 As part of the growth strategies for the restaurant brand, the new soon-to-be-opened branches will carry an upgraded look and to be branded as IHOP 2.0. Rodriguez said his company is still considering whether to carry out the upgrade to some or all of the older stores. However, Rodriguez admitted that there are major challenges that serve as impediment to further growth of the brand locally. “The food industry has evolved, not because there are so many players in town but also because there are so many developers and malls,” he said. Rodriguez said they want to make sure they are choosing the right locations. This is one of the main reasons why they are more careful and discerning when choosing potential sites in other cities across the country. He said that in the past, their company had chosen locations based on business relationships and general knowledge about an area. But to make sure all their stores will be properly positioned, they are now conducting focused group discussions (FGDs) and doing thorough market research before even getting into talks with a property or mall developer. Rodriguez also revealed that they are continuously in discussions with a number of potential partners across Southeast Asia. “That is the next direction we’re looking in,” he said. 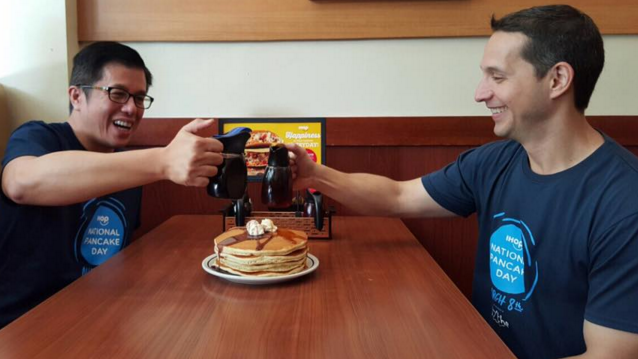 To kick off all the other big things that are happening for the brand this year, Rodriguez has announced IHOP’s second National Pancake Day on Tuesday, March 8. On that day, all six IHOP locations across Metro Manila will offer unlimited servings of its buttermilk pancakes for P250 ($5.26). That does not end there. For every meal purchase, P200 ($4.21) will be donated to the Kythe Foundation, an organization that provides children with cancer and chronic illnesses the chance to learn, play, and grow despite undergoing treatment and even if they are confined in the hospital. Rodriguez said that the first National Pancake Day raised P400,000 ($8,418) in total, which directly went to the foundation. This year, he said, IHOP Philippines is aiming to generate P600,000 ($12,627). The National Pancake Day is a tradition that is being observed simultaneously in all other IHOP restaurants in the US, Canada, Puerto Rico, Guam, and Mexico. DineEquity Inc. started this initiative in 2005. In the past decade, the program has generated $20 million, an amount donated to a number of health charities for children in local communities where IHOP operates. James is the managing editor of entrepreneur.com.ph. Follow him on Twitter, @james_humarang.